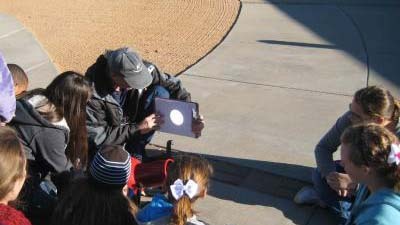 Located high in the Davis Mountains of West Texas, just northwest of the charming town of Fort Davis, McDonald Observatory offers a unique setting for teacher workshops, classroom field trips, and other educational activities held throughout the year. In addition to a wide array of on-site programs, we also offer distance learning programs for both teachers and classrooms. Read more about our programs below.